Lender Toolkit continues to grow! 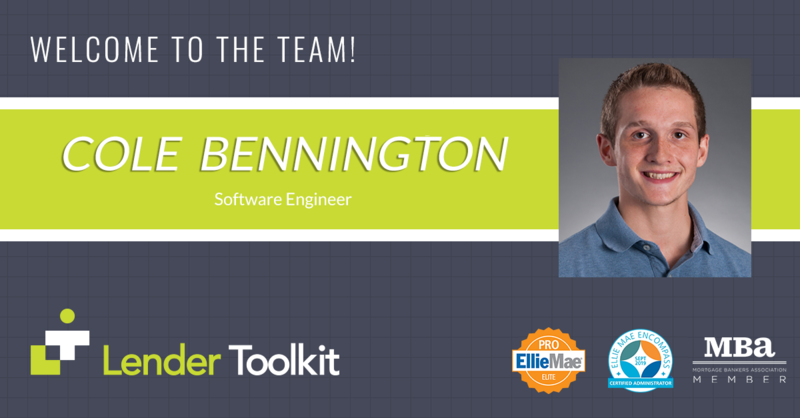 We are pleased to announce that Cole Bennington is joining the Lender Toolkit Team as a Software Engineer. Cole graduated Towson University with a Bachelor of Computer Science and has been working in the mortgage arena and is specializing in Encompass API’s and C# for the last year. Welcome to the Team Cole! Welcome to the team, Cole. You’re going to love it here! !